I can’t believe it’s November! This month, I’m going to be doing some funs things for my TBR. I’ll be completing a read-a-long with FierceReads and I’m letting my friends and followers on Bookstagram choose one of the books I’ll be reading this month. I will also be re-reading a couple books this month as well. My goal for November is to read five books; with the end of the year coming up it’s time to do a hard push towards completing my reading goal, which for me is 52 books. I’m currently at 42 books, so here’s to the last ten. Let’s jump right into what I’ll be reading this November. I started this book near the end of October and will be continuing into November. I’m loving it so far and it is definitely going to be a doozy if this first handful of chapters are anything to go on. 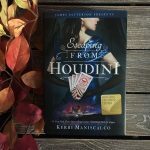 The Stalking Jack the Ripper series is one of my favorite historical YA fiction series and I can’t wait to finish this book and then begin the long, but worthwhile wait for the fourth and final book in the series. 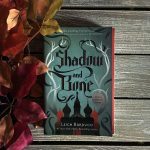 With the release of King of Scars this January, Fierce Reads is hosting a read-a-long of the Grisha Trilogy over the months of November, December, and January leading up to King of Scars releasing on January 27th. My first read through of the Grisha Trilogy was quick; I read all three back to back. This read-a-long gives me the refresher I need of the world and lets me spend some quality time with one of my favorite villains of all, The Darkling! Another re-read for November will be The Valiant. I first read this as an advanced reader copy, right before the book came out in January 2017. 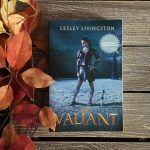 I want to read The Defiant soon, so I’m picking up The Valiant to get a refresher. It’s been almost two whole years, and I only remember small pieces of the plot and how the main character is a total badass! I also remember enjoying this book a lot so I’m looking forward to reading about these characters again. It will be a nice break from all the new to me books I’ve read this year. Busted, first pulled me in with its cover, something about its simple mystery with the camera really grabbed me. I love it! Busted is about a girl named Marisa who has a reputation for seeking out cheaters. She is enlisted by her ex-frenemy, who wants Marisa to investigate her boyfriend TJ, because she is worried that he likes someone else. 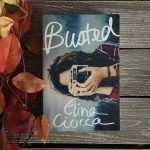 It sounds like a fun read and I like the idea of mashing up the genres of YA Contemporary and Mystery! I have good feelings about this book. What can be more exciting than a book about video games and hackers? I’ll tell you, nothing! Over the last few years, I’ve gotten more into playing video games and I definitely feel like the hacker vibe is going to take me back to Watchdogs and to when I read the Millenium trilogy by Stieg Larson. 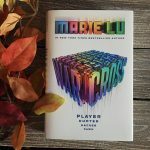 I need to make sure I have a free day for this book, as it sounds like Warcross is a pretty fast-paced book that I will not want to put down. I hope you enjoyed this list of what I plan on reading this November. Keep an eye out for new posts and book reviews coming soon as I will be writing content all month for NaNoWriMo! Let me know what you will be reading in the comments or over on my TBR post on Instagram. I would love to hear from you about your reading plans. Until next time, remember that life is better with books! Exactly! I’ve read so many new books that it is time for some old faves! – I highly suggest Stalking Jack the Ripper! An excellent YA Historical Fiction for sure!! !